Join us for the opening reception at The Gallery Havelock as Rebekah Codlin unveils her new artwork. Rebekah will also demonstrate how she paints and talk about what inspires her artwork. 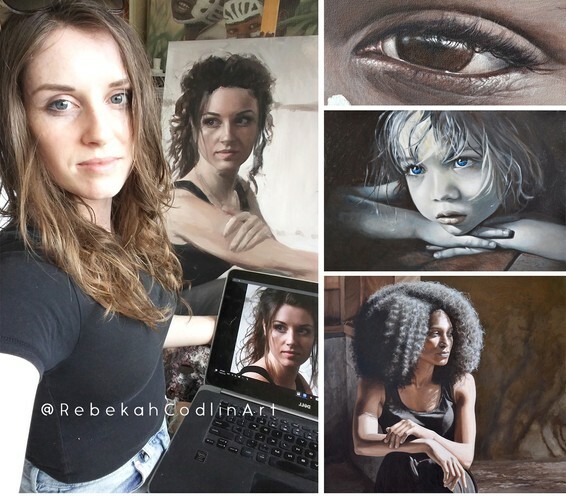 Rebekah Codlin is a 24 yr old self-taught artist based in Picton, Marlborough, working in oil on canvas, graphite and watercolour to produce contemporary realist portraiture. Rebekah's artistic career began younger than most, at age 16 she already displayed advanced artistic talent and was driven to become a fine artist. Through experimentation and exploration she began building a portfolio, and by 17 she was committed to becoming a full time artist. Rebekah sold her first portrait painted at age 17 for $10,000.00 attracting a wide audience and collector interest. Exhibit will run May 10th through June 8th 10am - 4pm each day at The Gallery Havelock.